Why should I browse anonymously? HideAway VPN gives you the tools to browse the web and engage in all other internet activity anonymously. If your occupation, political leanings, forum and discussion contributions or browsing habits put you at risk of job termination, loss of reputation/embarrassment or loss of life, then you need to browse anonymously. 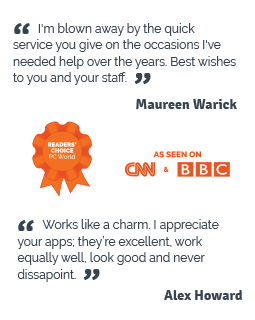 Alternatively you may just prefer to keep your browsing habits to yourself as it's nobody else’s business. Many websites track visitor information and your data may be exposed. Instead of taking a risk, browse anonymously to secure yourself and your private data. Alternatively, engaging in legal file sharing of music, videos and software, web browsing, using forums, advertising online, researching online are very good reasons to consider browsing anonymously. Many people in business and marketing have found that anonymous browsing is a very important tool in their research to prevent competitors tracking them. Using HideAway VPN is so easy. HideAway swaps your real IP address with a different IP address to effectively mask your details for all of your software applications, including but not limited to web browsing, instant messaging, voice over IP, email, and more. 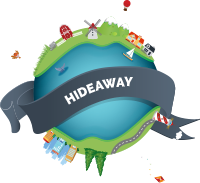 HideAway's anonymous IP address will allow you to enjoy the freedom of the internet and the freedom of anonymity. Stay anonymous, private and secure when browsing the internet with the worlds fastest, most flexible VPN.